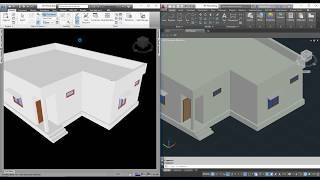 Have you ever been working with the Autodesk® Navisworks® model and had to reference a location in Autodesk® AutoCAD®? Chances are the answer is yes. The normal workflow would be to copy and paste the values from the Measure tools dockable panel one at a time. The Navis to Acad tool allows you to instantly reference points used in the measurement tool into the last active AutoCAD dwg. 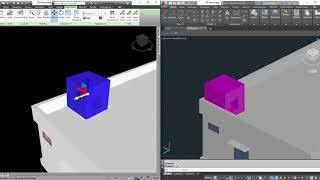 Simply snap some points using the "Point to Point" measurement tool in Navisworks, then chose to reference the first point, second point, or both points in AutoCAD and spheres will be drawn at those points. Another feature of this app allows you to instantly apply move transformations to objects in AutoCAD. Once the objects are moved in Navisworks, right click on the still selected objects and select the "Transform->Acad" option. If the objects are found in any open drawing in AutoCAD, the transforms will be applied to them. Pre-requisite: The AutoCAD product needs to be installed in your machine to transfer the points from Navisworks to AutoCAD.